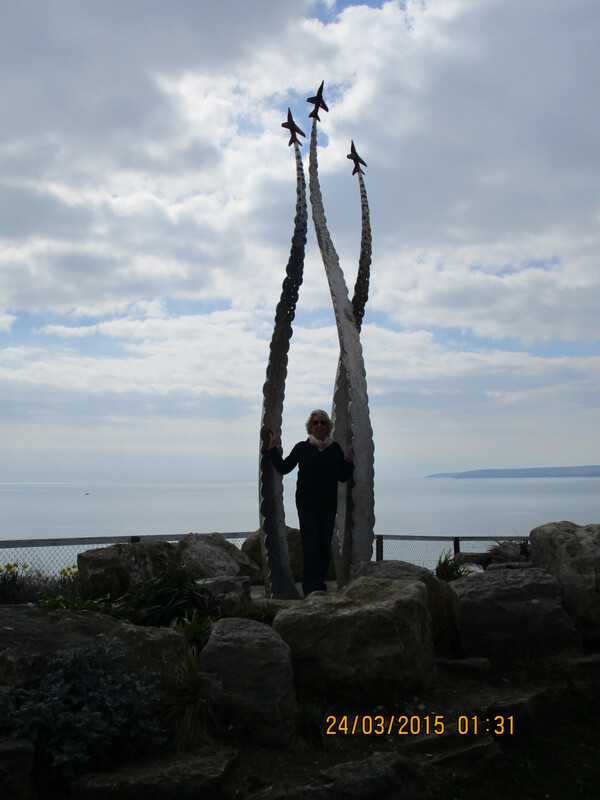 We left our timeshare apartment and turned right towards the five metre high sculpture situated high on the East Cliff overlooking the sea: three planes in red glass, their stainless steel smoke trails having glass discs in the Red Arrow colours, red, white and blue. The sculpture was designed by pupils from the Kinson Primary School in Bournemouth, in memory of Flt Lt Jon Egging, who sadly crashed after the Red Arrows display at the Bournemouth Air Festival in 2011. 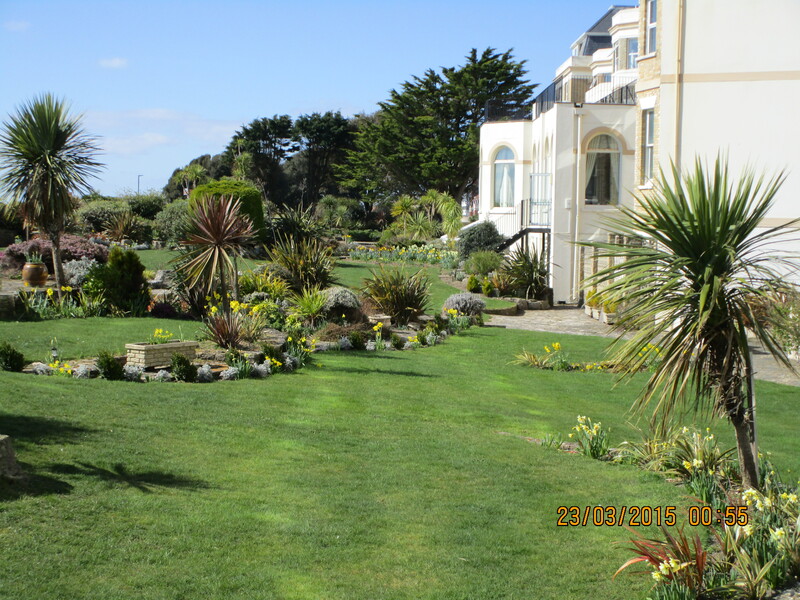 Walking towards Bournemouth town, we passed the Russell-Cotes Art Gallery and Museum. 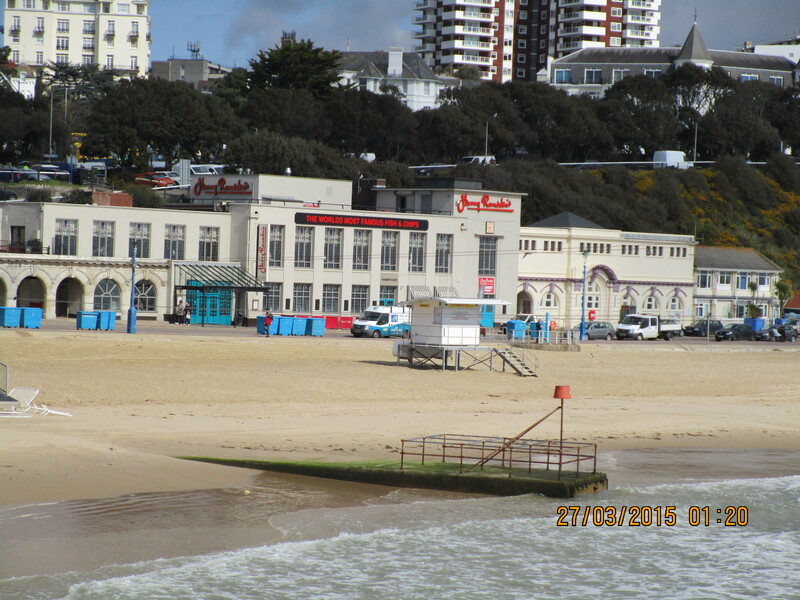 Its unusual design, visible from Bournemouth pier, reflects the style of its owners, Annie and Merton Russell-Cotes, who worked closely with their architect John Frederick Fogerty. The result, in 1901, was a unique yet comfortable home providing an ideal backdrop in which they could display artefacts collected during their world-wide travels, including Australia, New Zealand, Russia and Japan. Following their tour of Japan in 1885, the objects shipped back to England filled over a hundred cases and are recognised by the Victoria and Albert Museum in London (V&A) as one of the most important Japanese collections in the world. Approaching Bournemouth pier, we were disappointed to find the building work due for completion in Spring 2015, was not finished. Despite the on-going use of machinery in the Lower Gardens, spring flowers were pushing out, encouraged by the tardy sun appearing late in the afternoon. 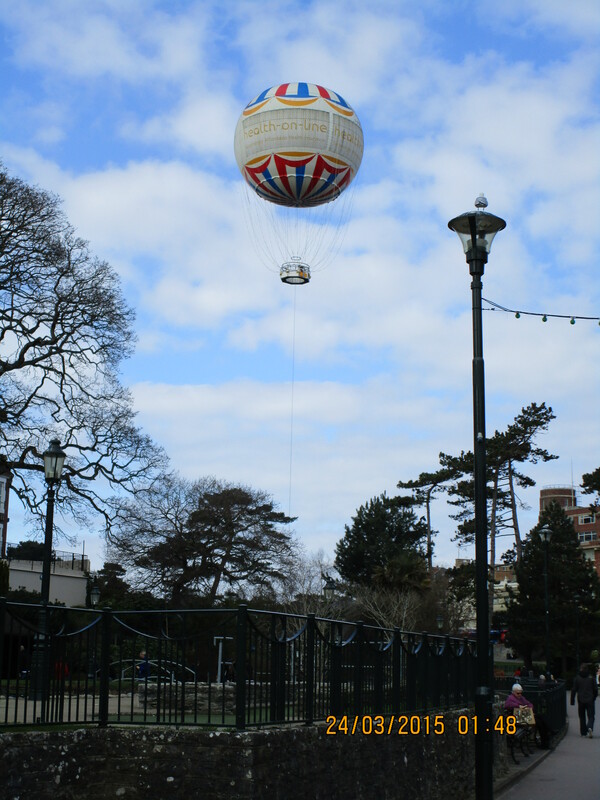 Sunshine encouraged tourists into the balloon that was anchored in the Lower Gardens, now high above us, affording its occupants a fine view for twenty miles around. Hungry and seeking to eat before returning for a quiet evening in the apartment,we discovered Harry Ramsden’s fish restaurant open for business on Undercliff Drive, East Beach. Its location overlooking the beach, friendly greeting and interesting 1920’s décor with black and white Charlie Chaplin film playing on the far end wall, encouraged us to relax over a glass of acceptable house white. The meals were equally fulfilling, light and tasty batter perfectly complemented our large cod with mushy peas and well-cooked chips. We had no space for desert. On the return we were glad of the uphill walk to our apartment, thinking it might help keep our weight down!